Today we are very happy to bring to you a interview that we did with such a bright talented young kid by the name of Evan Alex. If you don’t know who he is, you will soon. He is making a big splash on the movie screens everywhere. He stars in the blockbuster hit horror film from Jordan Peele called Us. 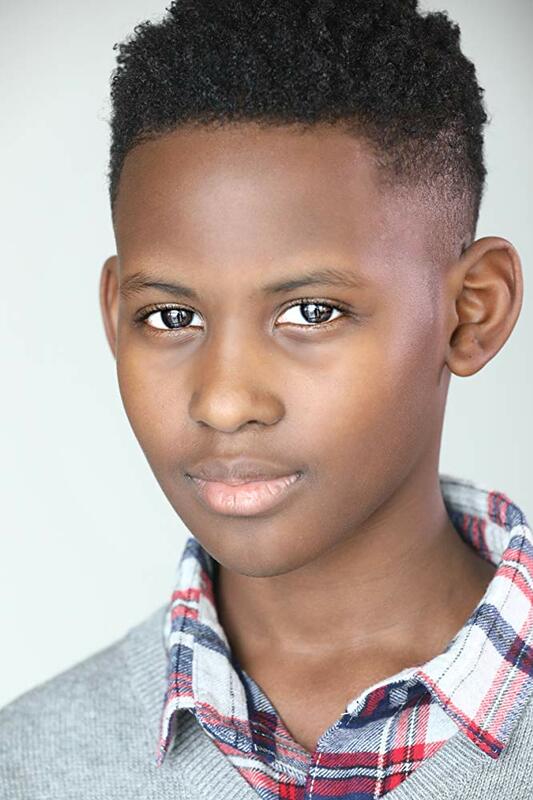 He plays the son in Us, Jason Wilson and Jason’s evil double Pluto. Pluto was a disturbing character and Evan played him so well. You can tell this kid has such a great future ahead of him. 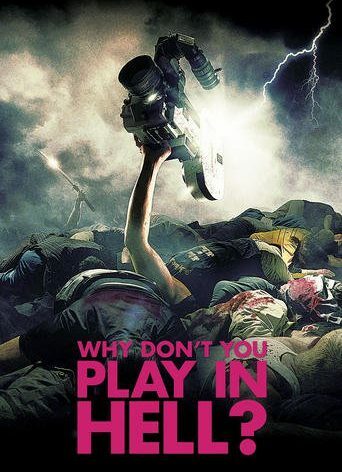 HELLTER: Hello Evan and thank you for joining us today on Gruemonkey. 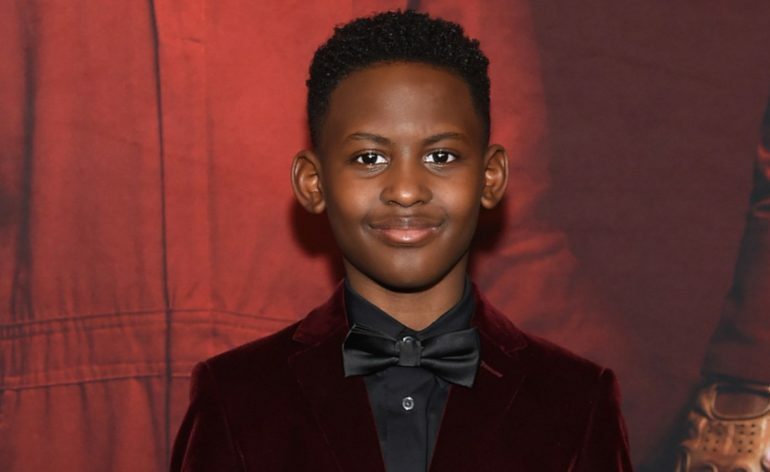 You did an amazing job in Jordan Peele’s Us. Congrats on the huge success of the film. How did you get involved with Us? EVAN: Hello, thank you. Well, my agents got me the audition. I did the audition and then I got the callback. The first time I auditioned for a good boy, and then for the callback I did a bad boy, but those ended up being fake sides. Then I found out I got another callback with the director, and that’s when I found out Jordan Peele was directing. That’s also when I met Shahadi and her dad Kevin because we started talking to each other while we were waiting for our turns. We were the last two. I went in and did my scene, and then they told me not to leave after, and gave me another scene to learn. My mom coached me in the waiting room then I went back in and read with Shahadi. Then a few days later Jordan called me and told me I got the part! HELLTER: Wow, that is so awesome and exciting for a young actor. How was it like working for Jordan Peele? 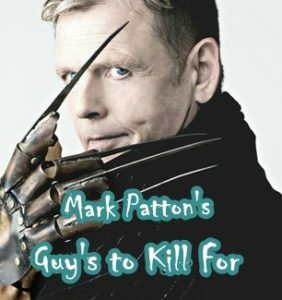 The guy is brilliant with his horror films. EVAN: Working for Jordan was like really fun because he would always do something fun, or tell us to do some jokes, and keep us together. I think he made us closer together because he would encourage me, Winston, Lupita, and Shahadi to do fun activities together and then we became really close as a family. And whenever I would ask him questions like how he has stuff and why he would do it that way, and he would always tell me. HELLTER: I love to hear stories like that. You all have to play a family so Jordan wants to make you all as close as a family. Brilliant. He seems like a nice guy to work for. How did you prepare yourself to play both roles as Jason Wilson and Pluto? That had to be pretty difficult. EVAN: It was challenging to play both roles but also really fun. For Jason, Jordan had taught me a magic trick that I practiced to get into character because he’s a kid that is like into magic tricks. And I had to practice being able to cry a lot, and just being able to be scared which is really hard because it’s actually really hard to keep crying that much. You run out of tears! Pluto was easier because I had on a mask and he doesnt have like any lines I just crawl around and stuff, but it was harder because the makeup takes a long time to put on and I cant eat anything and the jumpsuit was reaaaally hot. HELLTER: I can only imagine how hot that jumpsuit was. I did like how you played Pluto. What role did you like playing better Jason or Pluto and why? EVAN: I like playing Pluto because he was so unlike the others. Like Jason is different also but Pluto was more like an animal, like the way that he crawled around and growled. But I liked playing Jason because I got to wear flip flops and play at the beach, and I didn’t have to be hot all day. HELLTER: Yeah, that growl on Pluto was sick. You nailed it. 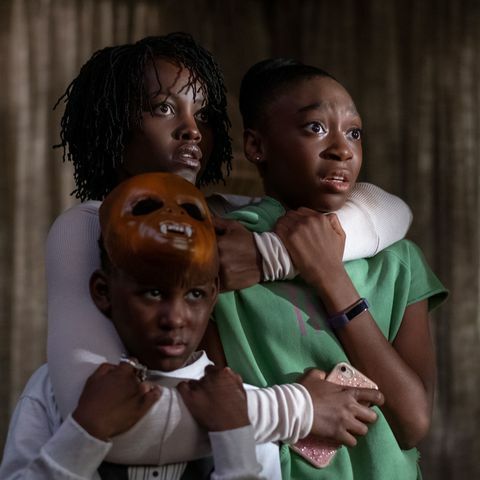 Jordan Peele’s Us is a very creepy film. Did any scenes of the movie really creep you out on set? EVAN: Uhh, the boat scene because it was really late at night and was really dark and creepy and we had to get on a boat and the lake was really deep. And we had to do it over and over. There was all these Navy seals in the water in case anything happened to make sure we were safe and we had to do safety meetings. HELLTER: Oh wow, Ok. Glad everyone was safe during that scene. 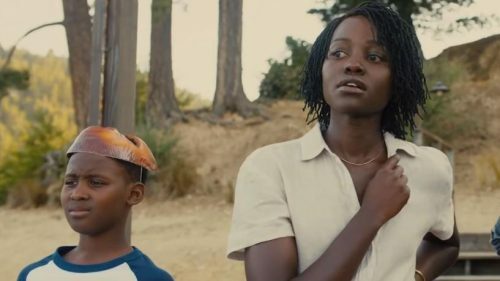 How was it like working with the amazing talented Lupita Nyong’o who plays your mom in Us? EVAN: Working with Lupita was really fun. She was very nice and a great actor and her performance was awesome. She inspired me because she would do these exercises and me and Shahadi decided to do them. They really helped me relax my head and clear my mind to focus on one thing. HELLTER: What was your favorite scene from Us? EVAN: My line when I say “It’s us.” I was really happy I got to say that line, and it’s been in all the trailers. It’s really cool. HELLTER: Yeah, that was a great line. I’m glad you got to say it in the film. Any fun behind the scenes stories that happened on set for Us? EVAN: Yes, when we were filming at the Wilson house there was a bear in the neighborhood that came to the house. A lot of the crew took photos of it. I didnt see it but I saw the pictures. It was kinda scary walking back to our greenroom at night because I was afraid of the bear but I also kept hoping to see it. 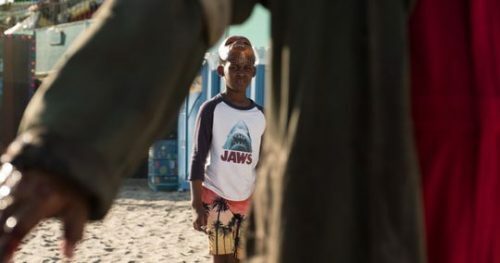 When they were filming the beach scenes and you see the boardwalk rides in the background, they let the crew ride the rides and they let us ride them too when we were done with our scene. It was so funny because it was all these life size dummies, they were bigger than me, and then the crew was sitting in between them on the rides. HELLTER: (laughs). Nice. Is there anything else you want to discuss or promote? EVAN: Umm, no, I guess that’s all. Thank you for having me. 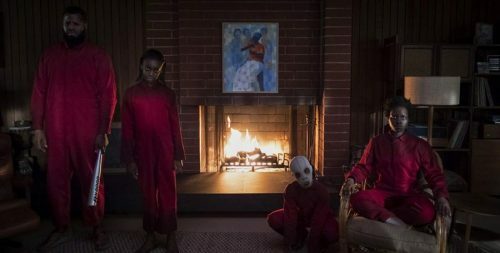 Gruemonkey’s interview with Cali and Noelle Sheldon from Jordan Peele’s Us!! CBS All Access releases the first episode of Jordan Peele’s Twilight Zone for free!! Extended Trailer for Jordan Peele’s The Twilight Zone series!! 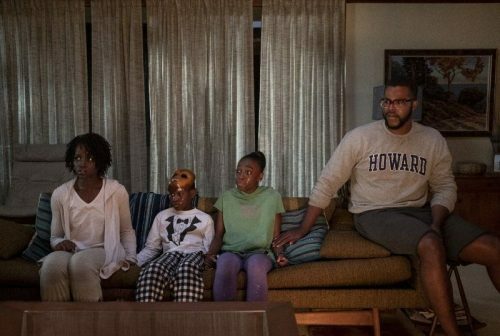 Jordan Peele talks Us to Hollywood Reporter! !